NopCommerce is an ASP.NET open-source platform for setting up e-commerce sites, also known as online stores. Nopcommerce is not only free and open-source but it also sports a myriad of features, among which are multi-store, multi-vendor, rental products, recurring products, etc. But before you can try this powerful e-commerce system you need to install it. Automatic nopCommerce installation - This method of installing nopCommerce is very straightforward and takes almost no time. However, it is a viable option only if you do not need to make any changes to the source code. It also entails the usage of Microsoft Azure or an ASP.NET hosting provider which provides nopCommerce as part of their control panel. Manual nopCommerce installation - This method of installing nopCommerce is a bit more complex as there are a few additional steps you need to follow. However, for this extra effort you will get more flexibility and control over your online store. Custom nopCommerce installation - You can also hire certified nopCommerce partners to do the installation for you. In this case, you will need zero technical knowledge. There are two things that must be done before you install nopCommerce. 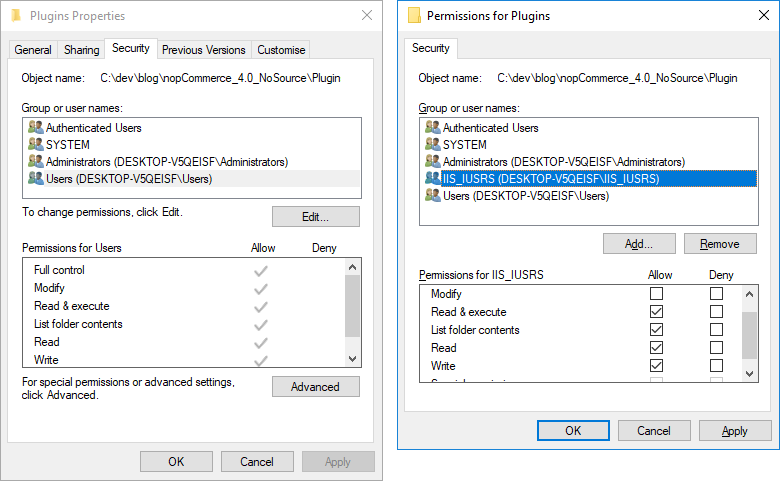 Ensure that you have the Windows Permissions configured (if you are going to install nopCommerce manually). Note: Before you choose a User Account you have to set your application pool to use that account. How to install nopCommerce automatically? For nopCommerce 3.90 and below, the automatic installation of nopCommerce is done through the Microsoft Web Platform Installer. For nopCommerce 4.00 and above, the only way to install nopCommerce automatically, is installing it in Microsoft Azure. Essentially, Microsoft Azure will create a Web App and a SQL database for your store. 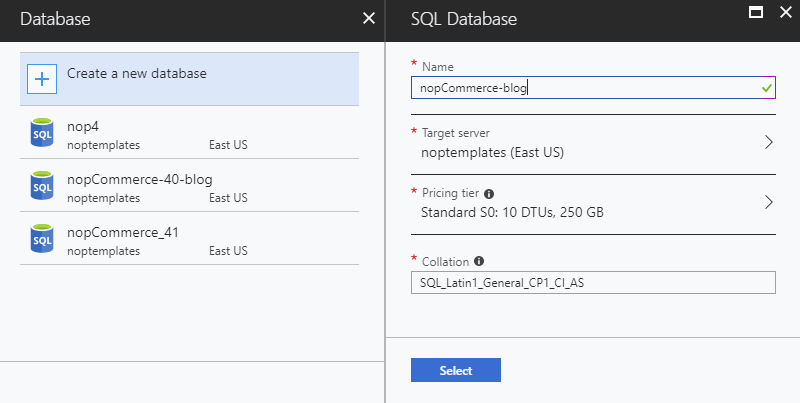 Microsoft Azure will also automatically deploy the latest version of nopCommerce. Open the Microsoft Azure Marketplace. You can either do this through the Microsoft Azure Website or through the Microsoft Azure Portal. 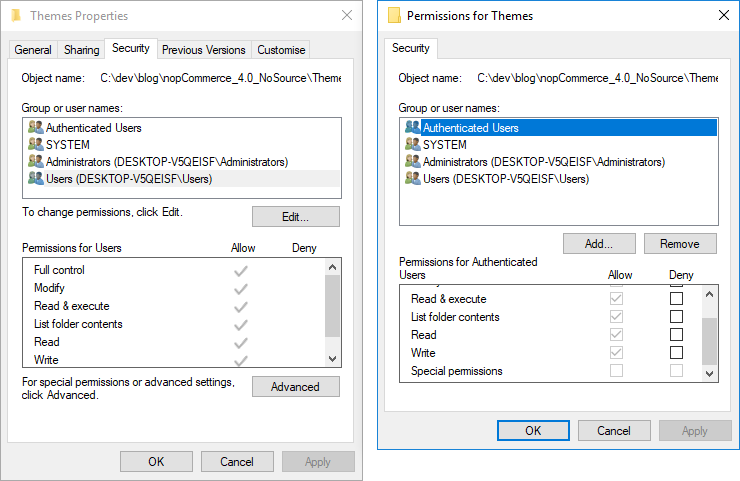 Note: The screenshots below show how you can install nopCommerce from the Microsoft Azure Portal. Click on ‘Web’ from the menu on the left. Type ‘nopCommerce’ in the search bar. The nopCommerce app will appear in the results. Click on the nopCommerce app. Click on the ‘Create’ button. Enter your Web App information. You will need to choose a ‘Resource group’ for your nopCommerce app. You can either create a new ‘Resource group’ or use an existing one. You will also need to create your SQL Database and fill in the required information. After creating the Web App, the nopCommerce installation process (deployment) will start automatically. This will be indicated on the dashboard. Note: Keep in mind that the configuration process might take a while. Open your newly created online store. You will be redirected to the nopCommerce Installation Page. 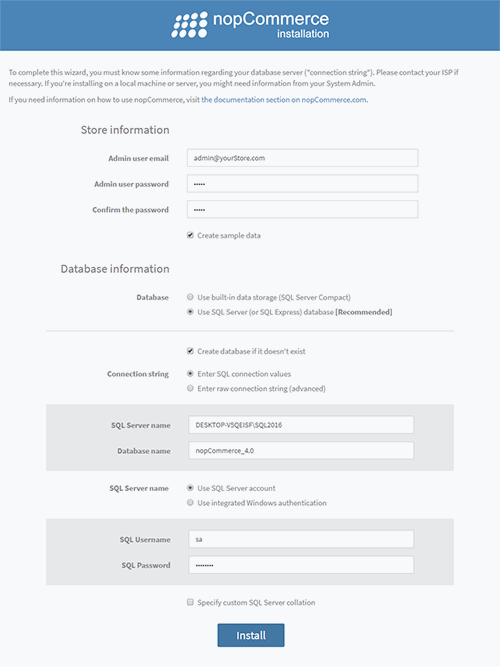 Fill in your ‘Store information’ and ‘Database information’. How to install nopCommerce manually? 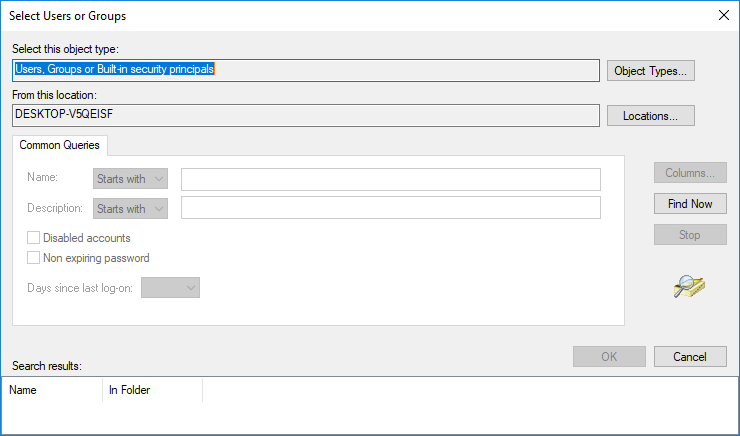 You can install nopCommerce in Microsoft Azure manually using Visual Studio. Usually, you will need to do this if you are working with the source code. 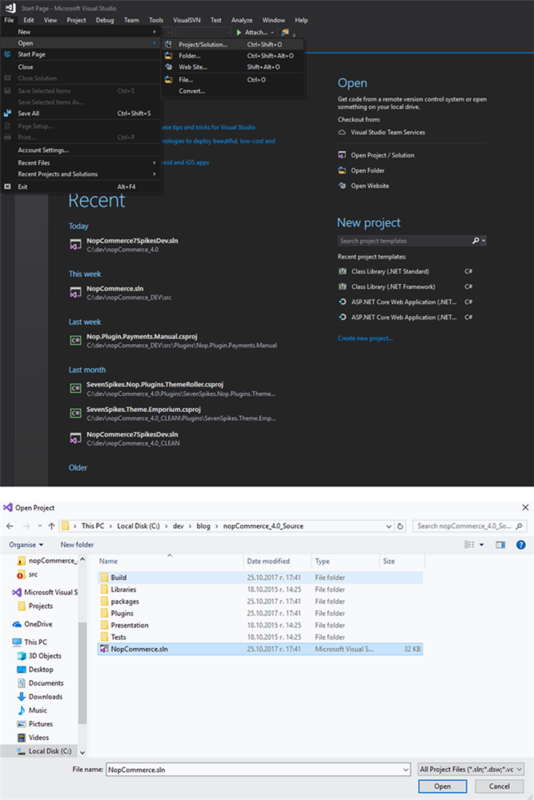 Essentially, you first build your project in Microsoft Visual Studio and then deploy it to Microsoft Azure. During the deploy, your files will be transferred to Microsoft Azure. From there, they can be accessed and used by your Web App. 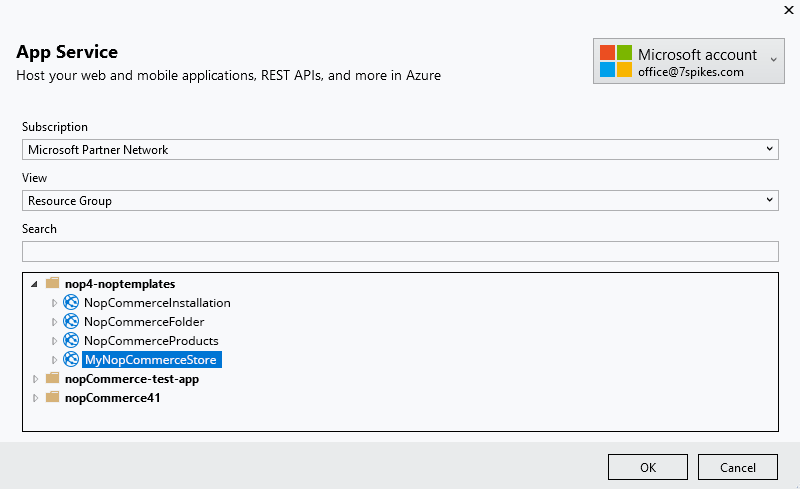 Create a Web App in Microsoft Azure from the ‘Create a resource’ menu. Enter your Web App information and click on the ‘Create’ button. Note: Check the screenshot above for more information - this step is identical to the step in the automatic installation. Create a SQL Database. Note that your SQL Database should be in the same resource group as your Web App. Publish your Nop.Web project. To do this, you have to right click on it and click on ‘Publish’. Choose ‘Microsoft Azure App Service’. Below, you will see two checkboxes: ‘Create new’ and ‘Select Existing’. Mark the ‘Select Existing’ checkbox. Click ‘Publish’. Select your newly created Web App. Click on ‘Ok’. 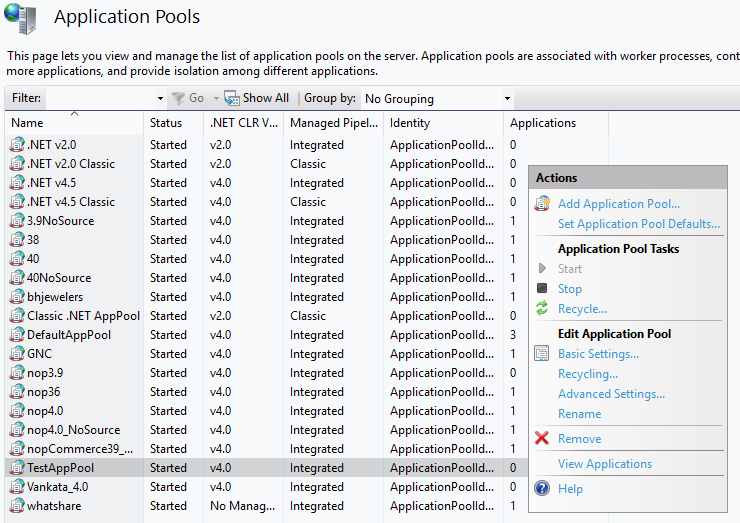 Visual Studio will build your project and deploy it to your Web App so it is ready for use. Open your newly created nopCommerce store. You will be redirected to the nopCommerce installation page (see screenshot above). Fill in the required information. -nopCommerce 4.0 with source code - this is a viable option if you are an ASP.NET developer or a store owner who wants to make major changes to their store and, therefore, needs access to the source code. Note that you can also find nopCommerce latest source code on GitHub. -nopCommerce 4.0 for web - this is a viable option for store owners who have less technical knowledge or do not want to customize the nopCommerce core system. Note that because nopCommerce is fully themable, customizations to the front-end are possible even without the source code. - 4.0 with upgrade script - this download package allows you to upgrade your existing version of nopCommerce to 4.0. Fill in the ‘Store information’ section, i.e. your administration account credentials. Note: Below this section, you will find a ‘Create sample data’ checkbox - we advise you to mark it. Fill in the ‘Database information’ section. - ‘Use SQL Server (or SQL Express) database’ - this is the recommended option. Note that you can choose it only if you use SQL Standard 2008 or above. Note: Below this section, you will find a ‘Create a database if it doesn’t exist’ checkbox - we advise you to mark it. 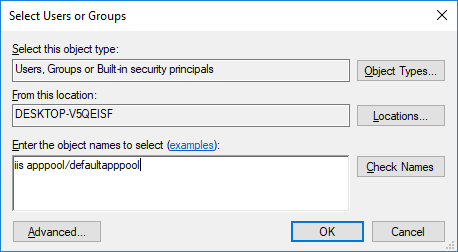 Normally, you will go with the first option, in which case you will have to fill in your SQL Server name. 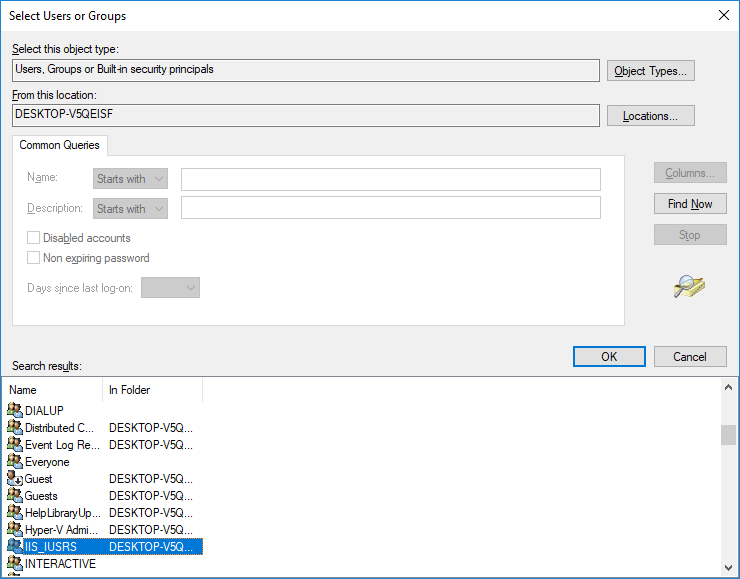 The easiest way to find your SQL server name is to open Microsoft SQL Management Studio and copy the server name from the login screen. Note: Once you have installed nopCommerce and set up your online store, you will need a good hosting provider to make your website public. Everleap is a viable option which we at Nop-Templates highly recommend. Need another option? Have us install nopCommerce for you! If none of the two options we discussed above works for you, you can hire a nopCommerce certified solutions partner to install nopCommerce for you and set up your optimized and customizable store. We at Nop-Templates.com, have recently started providing nopCommerce customizations, which among other things include installing nopCommerce and configuring your store for optimal performance. We can provide either small theme tweaks or full-blown custom nopCommerce development. If you are just starting however, you might consider a ready-made theme for your store. This is usually the quickest and most cost-effective way to launch your e-commerce business. If you choose one of our nopCommerce themes you will not only have your store up and running in minutes but will also sport a modern design and rich e-commerce features delivered by 13 additional (and free!) nopCommerce plugins. You will also get one year of free upgrades and technical support from our world-class development team. Depending on the modification you need to make to your nopCommerce store, you can choose whether to download nopCommerce with or without source code. After that, you will have to decide whether to install nopCommerce manually (on Microsoft Azure or on a local machine) or automatically (on Microsoft Azure). The installation process in both cases is straightforward. If you do not have the time or the resources to install nopCommerce yourself, you can contact us and we will be more than happy to install it for you. Do you already have your nopCommerce store up and running? What is the biggest challenge you had to overcome during the installation process? Feel free to share it with us in the comments section below!